Polishes like this one make me really wish I had a better camera. But I think no matter what camera you have, neons this bright never pick up true to color. 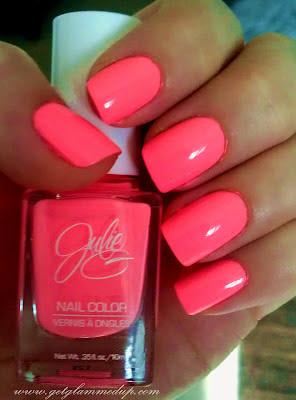 This is JulieG's polish in Bikini. If you don't already know, beauty guru JulieG713 has a nail polish line available at Rite Aid. When I saw some of the neons, I had to squeeze in a few more before fall comes. I also picked up the purple neon, Fierce & Fab, which I will probably show next week. Bikini is a gorgeous neon (i mean NEON), pink-orange/salmon. You will just have to go check them out in the store to see the real color! This is definitely one of the brightest colors I own, and perfect for the toes too in the summer. The polish quality was so-so. It took 3 coats to get a totally streak-free application, but that is typical of neons. I want to try out more from her line! Have you tried any? You don't normally see this kind of shade in neons nowadays. 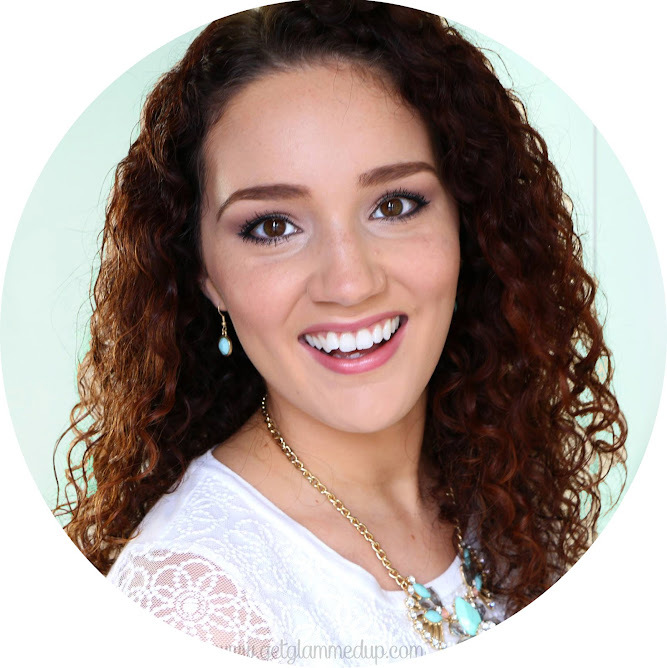 It's a good thing I came across your blog 'cause I've been looking for neon colors too! I'll definitely look it up. I just got this the other day. It's so bright and pink, and I'm in love with it. I don't even care that it's Fall. I hate matte so at first I was so disappointed when it first dried..wasn't expecting the matte look. A shiny top coat makes a WORLD of difference. I swear without the top coat I would hate this polish so much.